All of the newest desgns for my summer line. 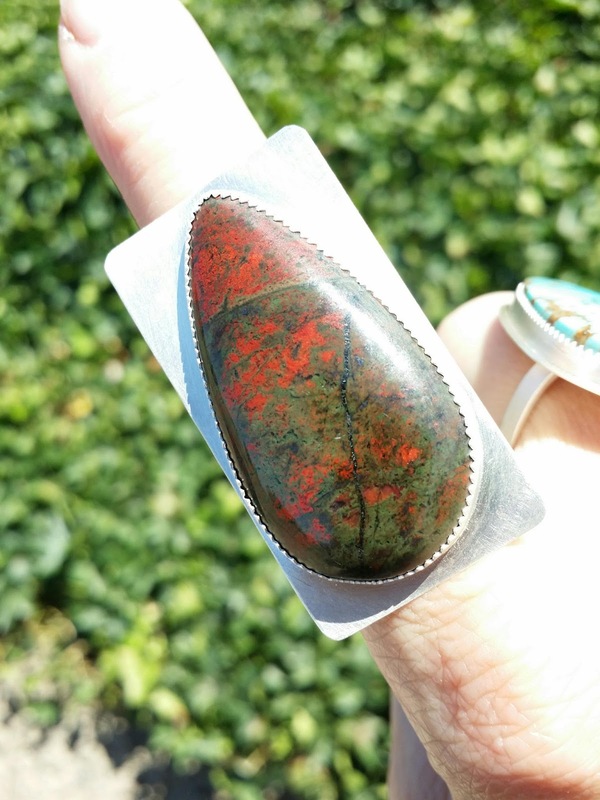 This red and green jasper cabochon came from Geoffreys Cabochons. 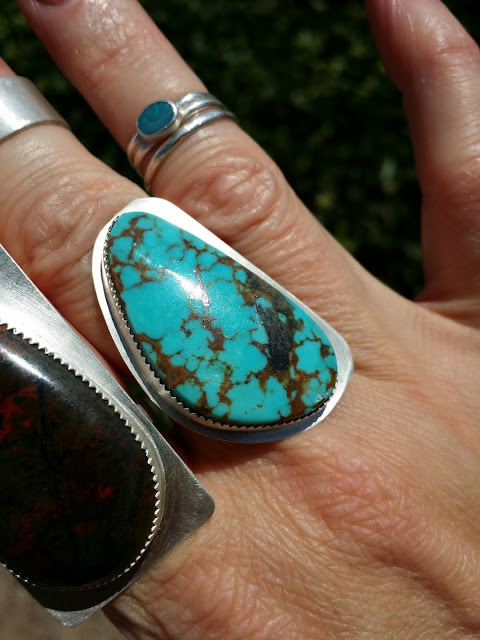 The turquoise cabochon is from my collection of turquoise, it looks like something from Kingman Mine, not sure. 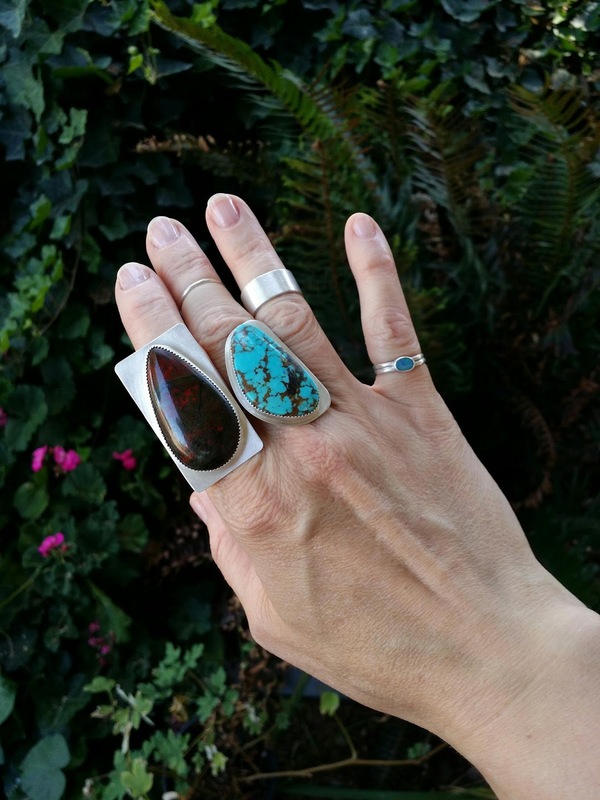 If you recognize the type of turquoise it is please let me know in the comments thanks. All the rings are sterling silver, I like sterling to be very bright like fine silver so I left a satin finish on all the backplates for the large cabochon rings.